Wanting to get your Eyelash Business to be on top of Google Search? Running an eyelash business website can be challenging these days. While your customers may already have a need for your product or services (because, honestly, who doesn’t want to be beautiful), they are surrounded by different options and they are often stuck in the trying-to-decide-which phase. As an eyelash extension expert, you would want to be the one that gets plucked out in the sea of beauty products and services. What are the Types of Eyelash Businesses? Eyelash extensions are a growing trend on its own. Celebrities, Hollywood stars, even the women you see on the streets on their way to work are sporting long, thick and voluminous lashes. An eyelash business could range from your typical brick-and-mortar eyelash extensions salons, spas and lash bars to online shops and e-commerce websites offering false eyelashes, volumizing mascaras, and independent contractor services. Eyelash extensions are made from PBT, a plastic-like substance, the kind the bristles of a toothbrush are made from. The technical procedure usually involves the careful placement of one or more lashes to one single natural lash. The process usually takes anywhere from 1-3 hours, and lash length typically ranges from 6 to 14mm. 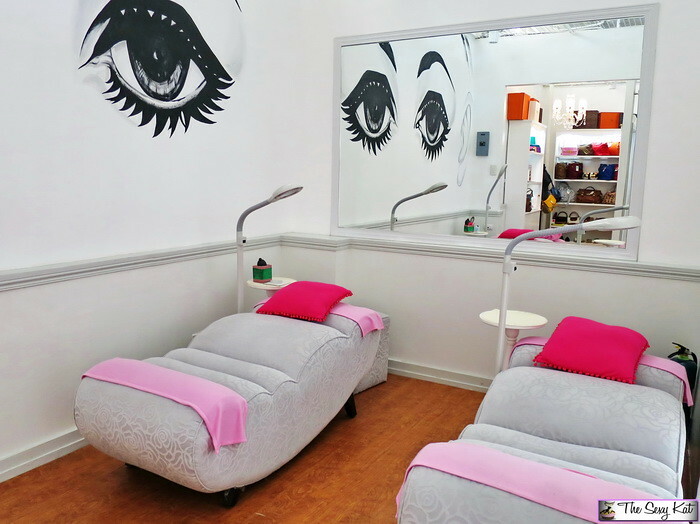 Many licensed cosmetologists can freely operate within different areas of the beauty industry, like lashes, makeup, nail care, skin care, hair care and fashion. But often, having a beauty business niche or a distinct segment of the market is a good thing as it helps you target your ideal customer better. The easiest way to find a niche is by addressing a specific problem of a customer segment. For an eyelash extension business, you may introduce lash extensions to middle-aged customers who want to look younger through fuller-looking lashes. You may also focus on lash extension services for soon-to-be brides. Another niche is to offer eyelash care and cleaning kits. Building a website for your eyelash extension business is the easy part: the challenging part is how to be seen. Having a website doesn’t make you magically appear in search engines. This entails a lot of work, which involves knowing the basics about Google search. A single keyword search in Google could generate thousands or even millions of web pages. As a business owner, your goal is to not only be one of those web pages but also to be at the top of the search results. How does this work? Google’s web crawlers look at web pages and follow the links on them. They are focusing more on new websites, the changes in existing websites and dead links or links that no longer work. When crawlers find a web page, your content will be rendered and added to the Search Index, which contains every word that is seen on every web page. A ranking system will sort through the web pages in the Search index and harvest relevant results in a matter of seconds. Google’s ranking system is composed of a series of algorithms, which analyze a search query and the information that could match this. When people type in questions, Google shows them answers in a variety of formats. For example, when a customer searches for makeup tutorials, Google gets back with not just website links but videos as well. When someone searches for directions to a salon, the system responds with a map. 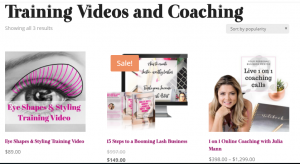 So you already have your eyelash extension website. The next step would be learning how to dominate Google. To do this, you need to have 5 important elements in the mix: content, On page and off page search engine optimization (SEO), social media presence and the basic SEO tools that you need. Your site should contain relevant and useful information so that when Google runs its crawlers on your web pages, you get better chances of getting indexed and ranking high in search results. However, random topics won’t get you anywhere. You need to do a detailed keyword research and determine which keywords your customers are searching often. Then, write quality, resourceful and valuable content based on these keywords. For instance, if you provide lash extension services, you may right about the do’s and don’ts of getting an eyelash extension, the best type of eyelash extension for a summer wedding, or the benefits of an eyelash extension vs. false eyelashes. Include images and step-by-step videos, add internal links and make sure that your website loads fast. You need to create social media accounts for your business not just for the heck of it, but because you want to help your business rank higher in Google. Like it does with web pages, Google also crawls social media platforms like Facebook and Twitter, indexes them and returns content published on these platforms in its search results. 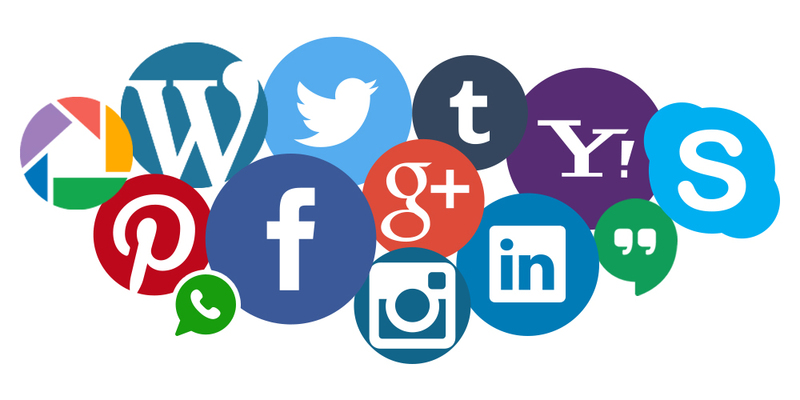 According to Kissmetrics, links published on social media platforms are considered by Google as credible backlinks — links that come from any other web page. Google also considers how often a link gets shared across Facebook or gets retweeted on Twitter, as well as the authority of the users who shared your link. Now, that you have target keywords in mind, it’s time to start doing on-page SEO. The title tag, which is the title of your content, is one of the key factors of on-page SEO. Make sure that your title tag contains your keyword or is close to the keyword as possible. If your keyword is “eyelash extension shops,” make sure this can be seen in your title. Meta tags are short texts that describe a webpage’s content. This will tell Google what your content is all about. Make sure that you spread your focus keyword all throughout the body. While there is no ideal percentage for keyword density, the number should be enough for Google to determine your content’s relevance to the keyword. 4. Anchor text, internal links, and external links. An anchor link in the body of your content allows the reader to jump to a specific spot on your web page. Internal links go to another page on your website, and SEO experts recommend at least 2-3 internal links. Lastly, external links are links pointing to another website, which helps Google determine your content’s relevance and what it’s about. Off-page optimization happens outside your website. This is how you will get quality backlinks or incoming links from other web pages. Why are backlinks important? Remember, Google wants to know if your content is relevant. Having other websites in your niche link back to your page will somehow support your relevance. Having these basic tools to optimize your site will really help you optimize your site fast, free, and easy-to-use. This tool will help you determine what other keywords your visitors had used to land to your website. This will also help you find out which pages and links get the most visits, and determine whether your SEO campaigns are directing traffic to your target pages. Integrate your site with Google Search Console to keep track of your keyword ranking and to find out what your visitors type when they search for your site. If you have a WordPress website, it is recommended that you install the Yoast SEO plug-in. This tool will help you optimize your title tags, Meta tags, keyword density, alt-text, and media. Leave me a comment if you found any of this helpful. Very helpfull material Julia. I’ll try to get a bit deeper into it and try to make things work better for my business. Loving your mastermind, volume and classic courses. You are an inspiration. any level in between your common appointments. After examine just a few of the blog posts on your website now, and I truly like your manner of blogging. I bookmarked it to my bookmark web site listing and will be checking again soon. Pls try my web page as nicely and let me know what you think.